At Easter my mom baked both Paska and these Lemon Buns. These are one of my most favourite yeast breads. 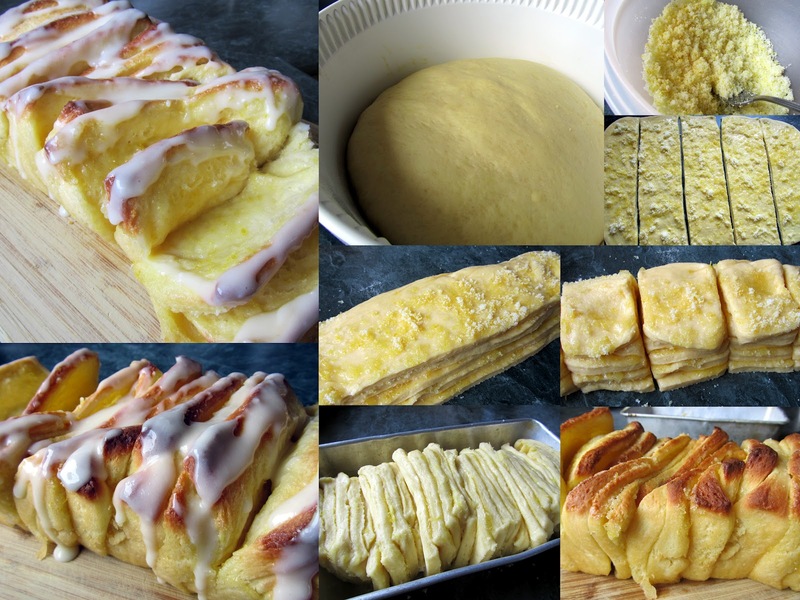 The dough is twisted into figure eights and a teaspoon of lemon curd is placed in each little dip the twist makes before they rise and are baked. Once baked they are finished off with a drizzle of icing. In a small saucepan, mix sugar,salt and cornstarch. Stir in lemon zest, lemon juice and water. Stirring constantly cook over medium heat until the mixture thickens and is slightly bubbly. Beat egg yolks well. Slowly pour a small amount of the hot mixture over the yolks, whisking immediately so the eggs don't begin to cook. Pour this combined mixture back into the sauce pan with the remaining hot lemon mixture and cook a few more minutes, stirring constantly. Remove from heat and add butter. Stir well and cover with plastic wrap until ready to spoon onto buns. In a large bowl stir together dry instant yeast and 2 cups flour. 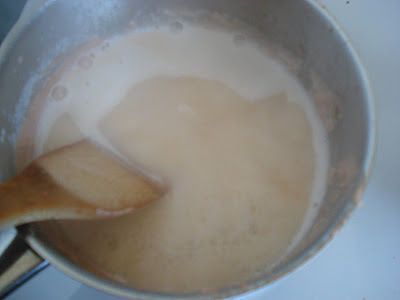 Stir sugar and salt into hot milk mixture. Beat eggs well and add the warm water. Pour hot milk mixture into eggs stirring well. Add all the liquid to the yeast and flour mixture. Stir well. Then incorporate at least 6-7 cups of flour to make a soft sticky dough. Using the remaining several cups of flour continue adding as you knead until your dough is smooth, but still very soft. Do not over knead this dough. Over kneading will cause these buns to loose their nice soft texture. Cover and place in a warm draft free area to rise until double in bulk. Approximately 45 minutes. Punch down dough. Pinch off small pieces of dough and form a circle and then twist into a figure eight. Place bun onto parchment lined baking sheets leaving room between for them to rise. Drop a teaspoon of lemon curd into the centre of each end of the eight. Allow buns to rise another 45 minutes. Once completely cooled drizzle with an icing made by stirring together 1 1/2 cups of icing sugar, 1 tablespoon melted butter, 1/4 teaspoon vanilla and a few drops of warm water at a time until you have a thin but not watery icing. If it gets too thin add a bit more icing sugar. I got this recipe from my Aunt Emmy when I was still a teenager. My Dad loves it when I make a batch of these for him. Mix shortening, sugar, egg and vanilla until well blended. Add dry ingredients and coconut mixing well. The dough will be a bit crumbly. Form into 1 inch balls, pressing dough together. Carefully press each ball with the tines of a fork. Blot maraschino cherry pieces on a paper towel. Bake at 350 degrees for about 12 minutes. Do not over bake. The cookies should be white with just a hint of browning on the bottom. I saw this idea somewhere not long ago and thought it would be the perfect treat for the grands come April Fool's Day. Sugar cookies are cut to resemble french fries and baked to a golden brown. 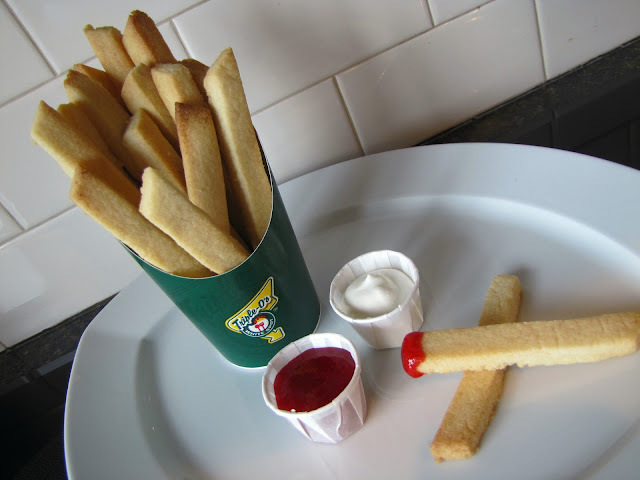 They are served in a container meant for french fries (willingly donated by your favorite fast food chain), alongside raspberry ketchup and 'icing' mayo. On lightly floured board, roll dough to about 3/8" thick. Cut strips to resemble french fries...about 4 inches long and with tips cut diagonally. Bake on lightly greased baking sheet at 375°F for 8-10 minutes, or until golden brown. Heat raspberry jam slightly. Force the jam through a strainer to remove the seeds. White icing with a touch of vanilla can pass for mayo anytime. April Fool's Day is just around the corner. Have some fun in your kitchen! Does this ever happen to you? You make a sauce or custard with a milk base and it burns onto your pot? 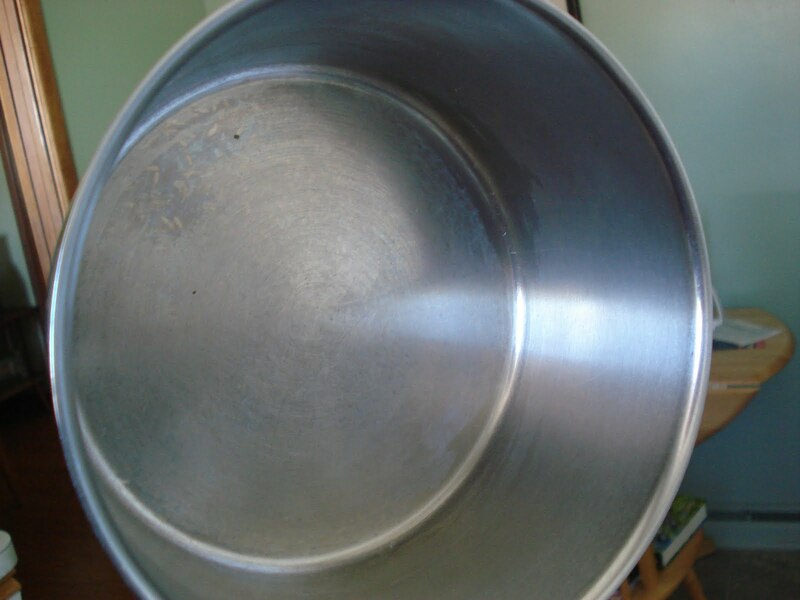 My aunt gave me a great tip for cleaning a burnt pot with very little effort. Put a little water in the pot with some dish detergent or if it is a really bad burn then use some laundry soap. 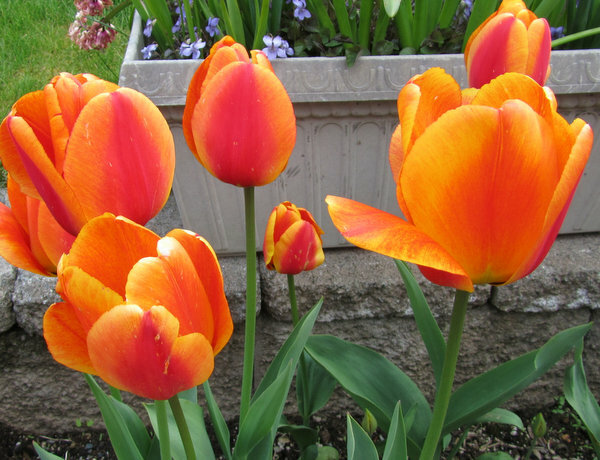 The amount varies with the size of your pot, but dish soap a good squirt and laundry soap a couple of tablespoons. Bring the water to boil. Stir it with a flat bottom spatula, medal or wood. See how much has come off with just a stir. 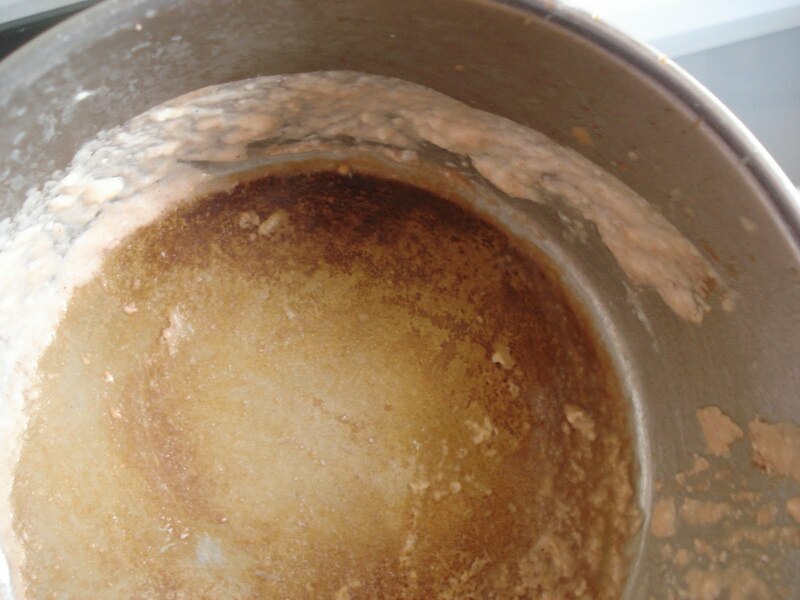 The last picture is the pot just rinsed, not even scrubbed. Voila, easy peasy. Shiny pot. If you love lemon you will definitely love this as you peel layer after layer off this delicious loaf. You will not be satisfied with just one slice. Mix 2 cups of the flour, sugar, salt, and yeast in mixing bowl and set aside. Heat milk and butter in a Pyrex cup in microwave until mixture is warm and the butter is melted. Add vanilla. Pour milk mixture over the dry ingredients and mix until moistened. Add eggs one at a time, and stir just until eggs are mixed in. If you forgot to take the eggs out of the fridge ahead of time, just place the eggs before cracking them in warm water for a minute or so and they will be at room temperature. Add the rest of the flour a bit at a time, kneading dough until well mixed. This takes only a few minutes, the dough will still be slightly sticky. If you find it too sticky just add a bit more flour, a tablespoon at a time until you can handle the dough easily. Place dough in a large bowl, cover and let rise until double, approximately 1 hour. Using a fork mix the sugar and lemon zest together in a small bowl. Once dough is risen roll out to a 12" x 20" piece. Brush with melted butter and sprinkle with lemon sugar mixture. Cut the dough crosswise into 5 strips. Layer the strips on top of each other carefully and cut into 6 squares. Place these squares sideways into a greased 5 1/2" by 9 1/2" bread pan. Or you can use 2 smaller loaf pans. Allow to rise until almost doubled, 25 minutes. Bake in a 350º oven for 35 minutes until golden in color. You can peel off these layers of 'lemony yumminess' and eat plain or mix a lemon glaze to drizzle on top. Add lemon juice and icing sugar and beat until smooth. Have your chili and eat the bowl too. Bread bowls are a fun way to serve chili or soup. I use Anneliese's fool proof french bread recipe, and form the dough to the outer side of oven proof Pyrex bowls. creating bread bowls. Stir yeast into 2 cups of flour and add to liquid mixture. Continue to add enough flour until the dough holds together in the shape of a ball, and is not sticky if you handle it with floured hands. Cover and let rise until double, about 1/2 hour. While dough is rising spray the outer side of soup sized oven proof bowls (I use Pyrex) and lay upside down on baking sheets. I have a convection oven which allows me to bake 6 bowls at a time. I can fit 3 bowls on each baking sheet. The remaining dough is fine to rest. Press balls into a flat disc and form it to the outer side of bowls, pressing some of the dough down onto the baking sheet which will form the rim of the bread bowl once baked. Bake in 400º oven for 10 minutes. Remove from oven and peel bread bowls off Pyrex and place face up onto baking sheets. Immediately put bread bowls back in oven to brown the insides for another 6-8 minutes. Remove to a cooling rack. Repeat with remaining bread. To serve fill bowls with chili or soup. A version of this ring, done with tuna and Bisquick, has been in my files for a long time but recently I decided to make it with my own biscuit pastry and salmon. It was good. You can use canned salmon or left over salmon, which is even better. So, the next time you cook some salmon steaks, why not do an extra one and you have the main ingredient for another delicious meal. Mix pastry by cutting the butter into the combined dry ingredients and then stirring in the buttermilk with a fork until dry ingredients are incorporated. Sprinkle with flour and knead for a few seconds to a smooth dough. Roll out on a floured surface to a rectangle about 15"x10"
Slightly beat egg with fork, setting aside 2 Tbsp of the egg. Stir salmon, salsa, mayo, basil and cheese into remaining egg. Spread pastry with filling and roll up jelly roll fashion, beginning at long side. Shape into ring on a greased pizza pan, folding one end into the other. With serrated knife, cut 2/3 of the way into the ring at 1 inch intervals. Turn each slice on its side to reveal the filling and brush pastry with reserved egg wash. Melt 2 Tbsp butter. Whisk in 2 Tbsp flour and 1 1/2 cups milk, stirring until it boils. Stir in 1 cup grated cheese and salt to taste. Serve alongside over steamed asparagus or drizzle over pastry. 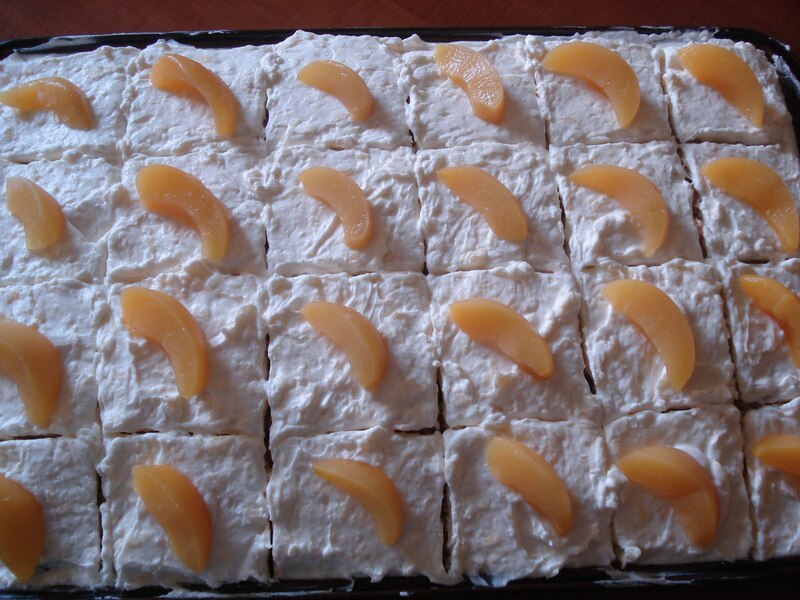 I worked with my gf Paska recipe and came up with this variation that I prefer to my other one. It smells delicious while baking. Spoon into desire greased pans or tins (smooth tops with wet hand) and let rise in warm place for about 30-60 minutes until doubled in bulk. If not eating the same day , freeze until needed. Chiffon cakes are light but sturdy and layer so perfectly with fillings since they don't collapse under weight like a Angel Food Cake does. The scent of the cake in the oven will almost make you feel like you are in the tropics. This cake can be made a day ahead of your party as long as you use stabilizer in your whipping cream. Prepare 2 - 9 inch and 1 3/4 inch high sided pans by cutting out rounds of parchment paper and placing them in the bottom of each pan. Do not grease the pans. Chiffon cake batter needs to be able to climb the sides of the pans. The cakes will rise past the top but not run over as long as you do not grease the sides. Alternately, you could bake them in three 8 inch pans and adjust the baking time. Combine the first four dry ingredients together in a large bowl and then run them through a fine sieve three times to combine them well and lighten them. Add the coconut and make a well in the middle and add in the egg yolks, oil, water, coconut rum, and coconut and vanilla extract. Beat together to combine. Beat the egg whites and the 1/4 cup sugar until stiff peaks form. You should be able to tip your bowl upside down and the egg whites will stay put. Combine the cornstarch and the sugar and stir in egg yolks. Add the two milks and the coconut rum (if use rather use the extract add it after cooking) and stir well to combine. Either bring the mixture to a simmer in the microwave, stirring at 30 second intervals or stir constantly over medium heat until the custard thickens and comes to a light boil. Remove from heat and add the coconut, and the butter. Stir for 5 minutes and spread over three of the split layers of cake. Whip the cream, extract and stabilizer until firm peaks form. (you do not need sugar since the coconut is sweet). Be careful not to beat your whipping cream until it is no longer smooth. Watch it carefully. It should be firm and it can change in a few seconds so don't walk away from your mixer if it is on a stand. Once the cake layers have cooled. Split each layer in half and spread the still warm custard over three layers. Reserve one bottom of the cake for the top. Spread the whipped cream over the sides and the top and then sprinkle coconut over the sides the cake always starting at the bottom by cupping the coconut in the palm of your hand. Work your way up to the top. Once the sides are evenly coated with coconut, take the bits that have fallen onto your counter and put it on the top of the cake, finishing with additional coconut if needed. Naan is a leavened flatbread usually associated with Indian food. 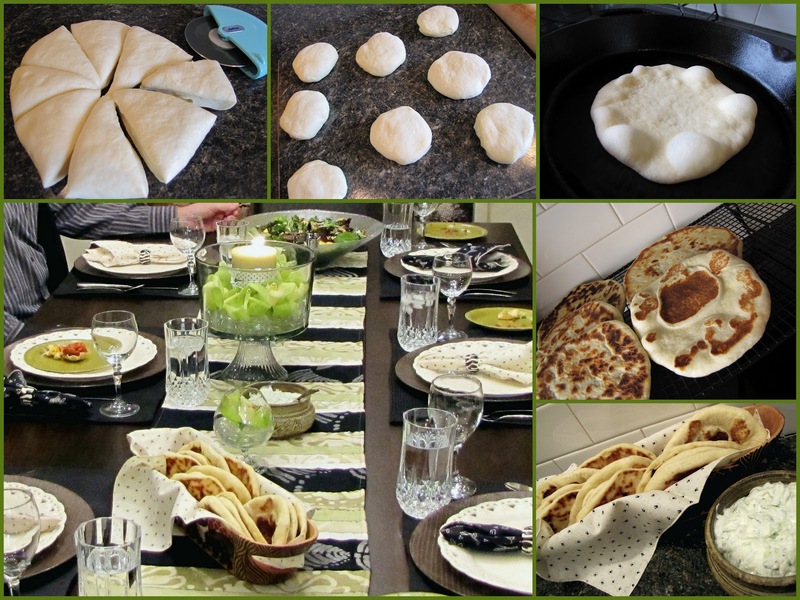 We enjoyed the best of naan breads last year when we visited Kenya and spent some time at a resort on the Indian Ocean. The bread was baked in a tandoor oven and served hot off the press. I have tried several times since to make the flatbread at home, with varying degrees of success. 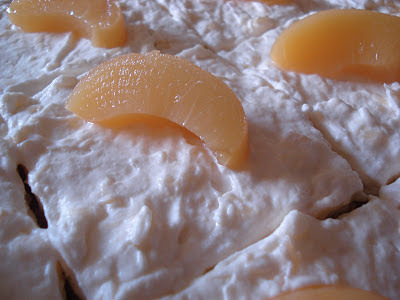 Here's a recipe and method that works well for me...baked in a cast iron pan on the stovetop. In a small bowl, add sugar and dry yeast to lukewarm water. Stir to dissolve; then let sit for about ten minutes. Combine oil, yogurt and egg in mixing bowl. Whisk together until smooth. 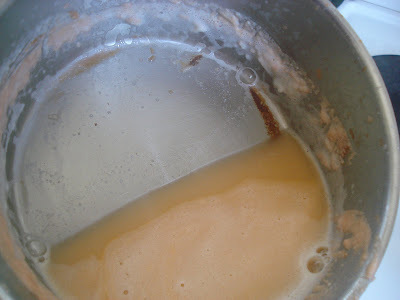 Once the yeast is frothy and doubled in size, add to liquids and stir. Mix salt and one cup of flour. Add to liquids and mix well. Continue to add flour, 1/2 cup at a time until the dough can no longer be stirred with a spoon. Turn onto a floured countertop and knead for several minutes, adding flour as necessary. Cover the dough and let rise in a warm place until doubled in bulk. Then gently flatten the ball of dough and cut into eight pieces. Form each piece into a ball. Spray a large, heavy cast iron skillet with cooking oil and place over medium heat until sizzling hot. Roll out one ball of dough at a time to form a circle about 1/4" thick and 6" in diameter. Place the circle of dough on the hot skillet and watch the bubbles form. Flip the dough over to cook the other side to a golden brown colour. Brush with olive oil or melted butter and sprinkle with sea salt (or herb of your choice). Continue until all 8 circles are cooked. Serve hot off the press...just as they are. Or serve together with Tzatziki Dip. Tip ~ Roll each piece of dough out just before placing in the pan to produce the lightest, bubbliest naan bread. 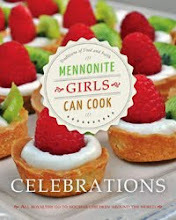 Last year I was gifted a cookbook from my daughter's friend. 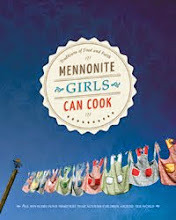 This was a recipe she had submitted in the cookbook and I was eager to try it. The combination of ingredients makes for a tasty and healthy meal. She noted that you can substitute the fish sauce for another tablespoon of soy sauce, but I have to agree with her that the fish sauce is a key ingredient to the flavour of this dish. We like the sauce so I sometimes double it, but still only use the same amount of chicken and vegetables. In a large nonstick frying pan heat oil; stir-fry curry paste in oil for 30 seconds. Add chicken strips and stir for 3 minutes. Add onion and continue to stir for 1 minute, then add pepper strips and lemon rind. Stir-fry for 2 minutes or until onions are just beginning to soften. Stir in coconut milk, sauces and lemon juice. Bring to a boil and cook for 2 minutes or until chicken is fully cooked. in order to capture the picture as a whole. How often have I heard it, and yet how many more times will I need to be reminded? Did Jesus not say that unless we become like a child, we will not enter the kingdom of heaven? Becoming a child signifies, smallness. When I feel small, pride is rooted out and a sense of wonder and expectation settles in . . .
my perspective is in looking up . . .
and that changes the way I look at God and people and circumstances. it's about humility and knowing where the credit belongs. It frees me up when no one notices what I've done. "He must increase, while I must decrease," has a wonderful way of bringing peace . . .
because, really, what can I do that He does not first give me the ability for? while pride, with clenched fist, denies help, and never feels totally gratified. while pride insists on instant recognition. Ouch. If today, you feel like no one notices what you do . . .
be encouraged by the fact that there is One who sees. He can make something out of us. This cake was inspired by a 1960's Betty Crocker recipe. The original recipe calls for a white cake mix and uses pineapples and nuts. If you read through this recipe you will note it's not the same cake but, because I like the name, I kept it. Prepare 2 or three same size ( 8-9 inches) round pans. (Trace wax paper to size of pan, grease pan and top of paper, then dust with flour.) Preheat oven to 325 F.
Beat sugar and egg yolks well, add water, lemon juice and vanilla. Add combined flour and baking powder. In separate bowl, beat egg whites until almost forming peaks and fold into first batter. Divide batter evenly between pans and bake until golden, about 25 - 30 minutes. Allow to cool about 5 minutes before inverting onto cooling rack and removing the wax paper. Prepare jello with 1 1/2 pkgs gelatin, using 1 cup boiling water and 1 cup chilled pineapple juice. Stir in two ice cubes and refrigerate until slightly thickened, about 30 - 45 minutes. Place first layer of cake into a springform pan, size of cake. Lay sliced kiwi on first layer and cover with one third of the slightly thickened gelatin. Let set a bit more and repeat with each layer. Use the half pkg of left over gelatin to make more if you need to for the top. Using a springform pan, allows you to remove side with a release clasp and cake can actually be served as is. (see photo) If you do not have a springform pan, place a long doubled up strip of wax paper, extending over edges of pan, into each of the just emptied pans. Place one layer of cake on top of wax paper and top each with fruit and gelatin. 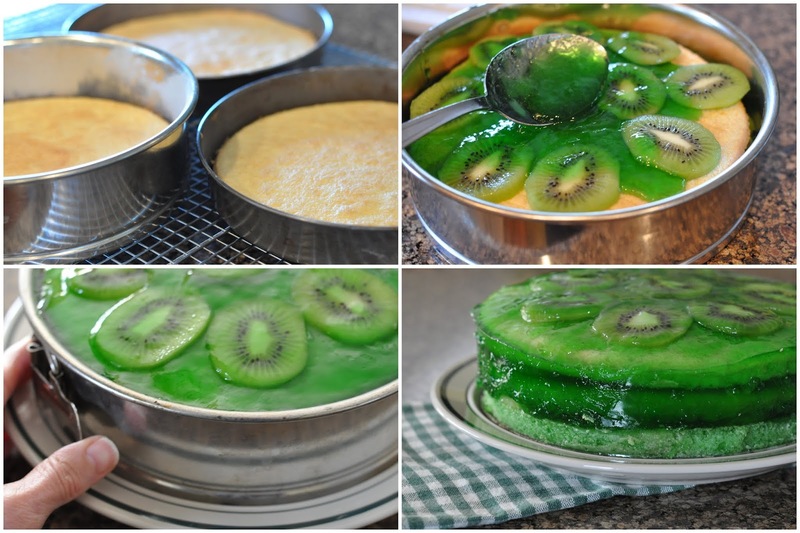 Allow both/all cakes with layer of gelatin on top to set in fridge. When firmly set, grab the ends of the paper, to remove the cakes and stack one on top of the other. Beat cream and sugar until stiff. Spread over side of cake and pipe around the edge if desired. Refrigerate cake before serving, as well as any leftovers. Many years ago, our church cell group was planning a pot luck social. 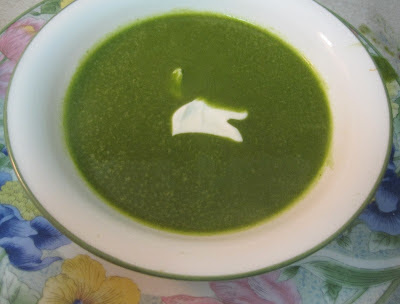 One young wife, Nina, offered to bring Cream of Spinach soup. My husband immediately wrinkled his nose and decided it wasn't something he would care for. Nina insisted it was good and he WOULD like it. He wasn't convinced. But when he - only to be polite - allowed himself to be persuaded to take the first spoonful , he was surprised and quite happily had two helpings! He still periodically puts in a request for me to make this soup. Stir in chopped spinach and cook about 20 minutes. Mix flour with a little cold water and add to the soup stirring and cooking for a couple more minutes. Pour soup into blender and purée until smooth. Pour back into pot to keep warm until serving. These granola bars are full of good things and perfect to pack for lunches or as a nice 'pick me up' snack in the afternoon. Spread oats, wheat germ, sunflowers seeds, and pumpkin seeds on a large baking pan and toast in a 325º oven for 12 minutes. While this is toasting bring all the syrup ingredients to boil in a saucepan. Once it starts to boil reduce heat to a simmer. Let simmer 5 minutes. Pour toasted ingredients and the rest of the dry ingredients into a large bowl. Stir syrup mixture into dry mixture until well blended. Press mixture into a 9" x 13" pan. Cool until firm. Cut in pieces and wrap each bar individually in plastic wrap. Every now and then we get sweet emails which include a recipe for us to try. This is one of those. Sara U. sent me the idea for Cinnamon Bun Scones and though I have made quick doughs into cinnamon rolls...I had never thought of folding the dough over to cut them into scone shapes. Thank you Sara for the inspiration for this recipe. I am giving you the method for making these scones using a food processor. You can easily make it without a food processor by using a pastry cutter to cut your butter into the dry ingredients and then adding in the liquid and combining until the flour bits are blended in. Mix ingredients together to form soft crumbs and set aside. Combine the dry ingredients together in the food processor bowl. Cube the cold butter into 1/2 inch cubes and add to the food processor bowl and pulse until the butter looks like oatmeal. While the food processor is pulsing, add the buttermilk and the egg and vanilla and pulse just until the mixture holds together. Turn the dough onto a floured surface, pat into a 6 X 12 rectangle and sprinkle lightly with flour. Use a rolling pin to roll into a rectangle that is about 1/2 inch thick. Sprinkle the soft cinnamon, sugar butter crumbs evenly over the surface and fold the the rectangle into thirds so that you have a long rectangle. Use a sharp knife to cut into triangles and place them on a baking sheet which is covered with parchment paper. Combine the icing while the scones are baking and spread over each scone and serve the scones warm. To freeze the leftover scones, place them on a cookie sheet to freeze and once frozen, place in a sealable freezer bag. To reheat, pop in the microwave for about 30 seconds. We took our staff out for dinner at a fancy restaurant in town recently and I ordered the pineapple upside down cake for dessert. It just wasn't as good as I expected but I loved their presentation of this down home dessert. 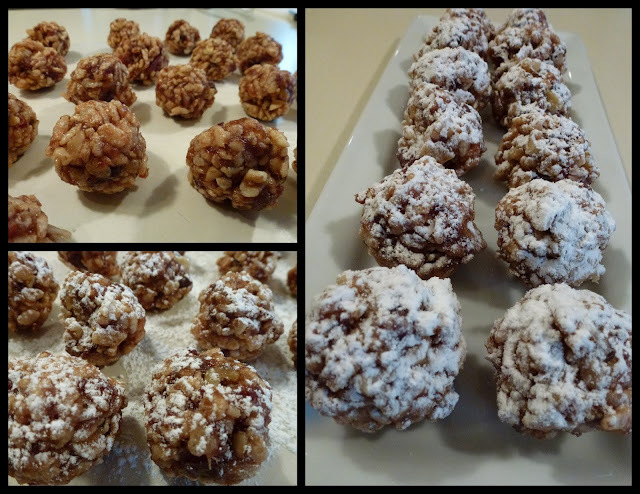 So I went home and adapted my recipe to make these pretty cakelets. In a small bowl, combine melted butter and brown sugar. Place 1 teaspoon or so of butter/brown sugar mixture into each muffin cup and spread to cover the bottom. Arrange pineapple tidbits over butter/ brown sugar in a flower pattern around a pecan or cherry half. Set aside. Using a hand mixer, beat butter in a mixing bowl until fluffy. Add sugar l/4 cup at a time, beating well after each addition. Add vanilla and mix briefly. In a small bowl, sift flour, baking powder and salt. Add half of the dry mixture gradually to butter/egg mixture, mixing at low speed until the flour is mixed in. Add the buttermilk and mix again. Add the rest of the dry ingredients and mix just until all the flour is incorporated. Spoon into prepared muffin cups, filling each approximately 2/3 full. Bake in 350 degree oven 30 minutes or until cake tester or toothpick inserted in the centre comes out dry. Remove from oven and let sit for a couple of minutes. Lightly loosen edges of cakelets from pan and invert onto a rack. Carefully lift pan and replace any pineapple or cherry pieces that have stuck to the pan. 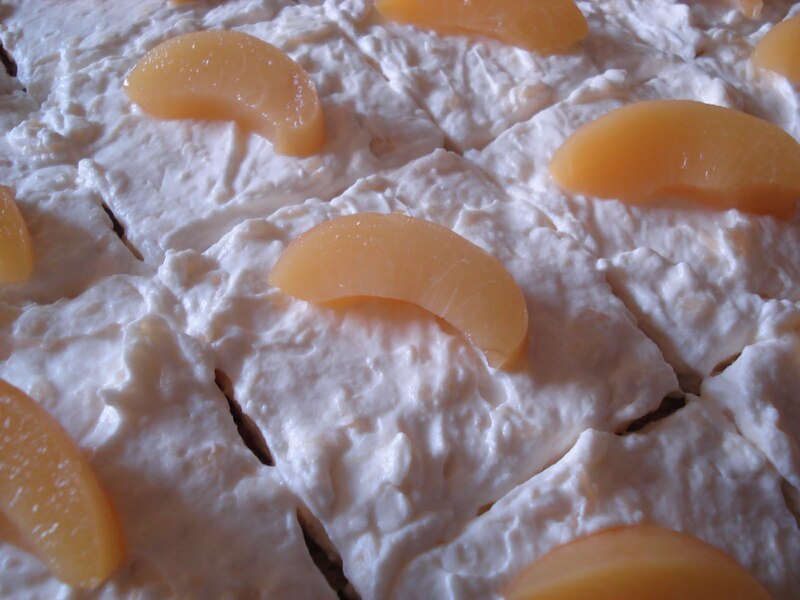 Let cool and serve with whipped cream or ice cream. These are on of my husbands favorite cookies. It has a slight hint of coffee flavor which goes really nice with a good cup of coffee or a tall glass of cold milk. Add molasses incorporate it well. Add into the creamed mixture alternately with the coffee. 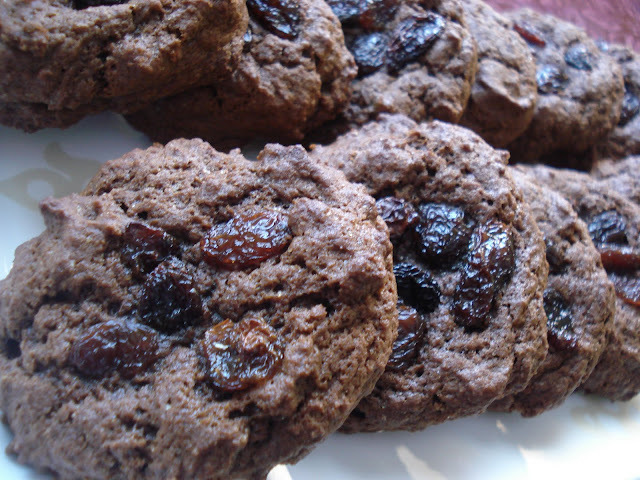 Add a few raisins to the top of the cookie if you wish. Bake in a preheated oven at 375 for 8-10 minutes. Leave the cookies on the baking sheet for about 5 minutes and then transfer to a cooling rack. At this point you can drizzle the cookies with the icing if you wish. I remember learning and memorizing this verse in my early teens, many years ago...lots has happened in between, and all I can say is that this promise is alive and we must stand strong and remain steadfast to God's word. Our family has just finished celebrating a 100th birthday. During this week I have been able to take the time to read memoirs and reflect about what our father and grandfather has been able to contribute both to his church and his community. When I think back to the diversity and challenges that he endured during the war time, he remained steadfast to his belief. During the 100th celebration he was asked a question, "What is your favorite motto?" And he answered 'Gott kann' meaning 'God can.' Two very simple words, short and to the point. We are faced with challenges daily...in the work world, in the family, in our belief/value system, our government system. Times have changed dramatically over the past 100 years. I remember way back...when I was a young mom, I felt overwhelmed at times with three little tots running around. It was then that an older lady reached out and said to me, "Little children, little problems, big children, big problems." Little did I know what that meant. 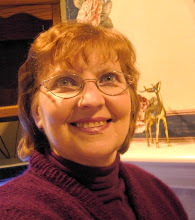 Now I am older just like the lady who reached out to me and can identify with her words. During the weekend, we listened to stories from young and old. It's not always easy to stand and listen to younger nieces or nephews sharing their crisis in there lives. What do we do when we discover drugs in the home, a child being hospitalized, a child has been arrested, a child chooses different values, depression sets in, broken relationships, driving under the influence of alcohol and the list goes on. As they shared their stories, we all started using Papa's / Opa's motto: God Can! As the families left, we smiled and waved and did not say good bye, but rather, "GOD CAN!" These words have been etched in our hearts forever. Two simple short words! Let's continue to envision life from God's perspective, not our own and focus on what we know we need to do, keep our priorities on track, fill that empty void with God's word and continue to trust in God as our source of power. I am so encouraged to know that the same faith that our father, our grandfather, our great grandfather has handed down to future generations still holds strong for us today, and I hope that whatever you are experiencing, wherever you are, that you too can echo the same words. "GOD CAN!" 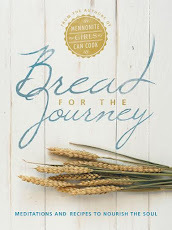 Gluten and wheat free bread baking is new to me, but there are so many people who have food allergies that I thought it would be a good idea to learn to bake bread so everyone around my table can enjoy. This recipe was suggested to me from a friend and I was delighted with the result both in looks and taste. I'm sure you could mix your own flour blend and keep the cost down, but I thought I'd start with a premixed flour. One day I'll venture out. Gluten free dough is not kneaded, just mixed. I was not sure what it was to look like but it was a thick batter. I hope if you try it you will also have success and you will enjoy it too. Stir sugar and yeast into warm water and allow to stand for 6-8 minutes. It will double in volume. In a large mixing bowl combine and stir together very well the flour, salt and xanthan gum. Stir together the eggs, oil and apple cider vinegar, give the yeast a good stir and add all to the dry ingredients. Beat on low until ingredients are combined and then turn to medium and beat 3-4 minutes. The dough will be like a thick batter. If you have french bread pans grease and sprinkle lightly with corn meal. I don't have those pans so I placed parchment on a baking sheet, lightly greased it and sprinkled it with corn meal. Which ever pans you use, now spoon batter into two french bread shaped loafs, smoothing out best you can with the back of a spoon. Slash the top of each loaf with a sharp knife. Brush the tops and sides of each loaf with melted butter. Pre heat oven to 400º. To give this bread the authentic crusty crust on the outside and soft crumb inside I placed a small pan of water in the oven to add steam. I left it in while the bread baked as well. I don't know if that made a difference but the bread turned out perfect. Bake for 40 minutes. Remove from baking sheet to a cooling rack immediately. Slice while still warm or allow to cool and bag for later. The next day this bread was still soft and fresh tasting. I did not freeze it but I'm sure you could. These are a no bake easy treat and if you buy gluten free Rice Krispies cereal they are a gluten free treat! Combine dates, butter, sugar, and beaten egg in a saucepan. Turn down heat if necessary after 5 minutes. In a large bowl, mix the Rice Krispies and chopped nuts. Pour date mixture over cereal mixture. Roll into balls a little larger than a walnut. Put powdered sugar in a bag and shake a few balls at a time until coated with sugar. They keep well. Do not freeze. Yields 6 dozen. This recipe is a combination of ideas from several sources. One could add a bit of kick to it with some hot chili flakes or jalapeno, but I mixed it to a flavor that even the smallest sombrero lover would appreciate. A little like chicken pot pie, but a lot different! It tasted even better the second day re-heated, when the juices were absorbed a bit more. Brown meat in skillet, cooking and stirring until pink is gone. Add onions, pepper and garlic and continue cooking until vegetables are soft. Add spices, tomatoes and corn. Continue cooking for about 10- 15 minutes. Stir in 1/3 of the can of re fried beans. For pastry, cut shortening into dry ingredients. Add water and stir with fork until well combined. Shape into ball. Divide in half. On floured surface, shape into circle and roll out in circular shape, large enough to cover bottom and come all the way up sides of a deep dish pie plate. Roll up with rolling pin and line pie plate. Brush pastry with some of the egg wash to seal and line bottom with 2/3 can of re-fried beans. Layer with 1 cup cheese, meat mixture and second cup of cheese. Roll out second pie pastry and cut a plus sign in the center. Transfer to cover the filled pie, flute edges and roll back the four corners in the center cuts. Brush with leftover egg wash.
Bake at 400 F for 15 minutes, then turn down to 350F and bake another 45 minutes or until golden brown in color and center bubbles. Let stand for 15 minutes before serving. This is a great make-ahead dinner to freeze. You could also fill 2 regular pie plates (instead of one deep-dish) by just changing the meat portion to 1 pound and doubling the pie pastry. You could use purchased pie pastry. Freeze unbaked pie and do not thaw to bake. Bake frozen pie a little longer, until center bubbles. This is so simple. 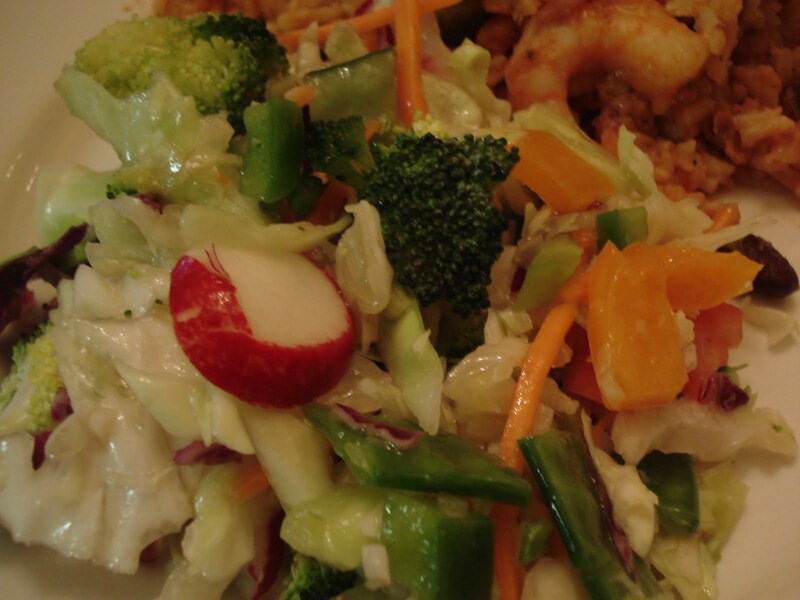 Mix what ever veggies you enjoy eating with enough Italian dressing (or any favorite dressing of choice), creamy or vinaigrette and Voila, Salad is served. This cake is a delicious cake that can be made for a crowd. 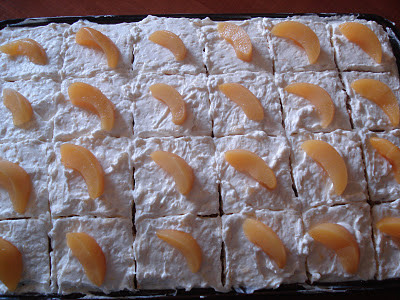 It is a good dessert to take to a potluck. A simple white cake topped with a cream cheese pineapple topping. Beat all the ingredients together, mixing well. Pour into a well greased 12"x 18" cookie sheet pan with 1" sides. This step is completely optional, and I only do it if I feel like it to achieve a higher cake. 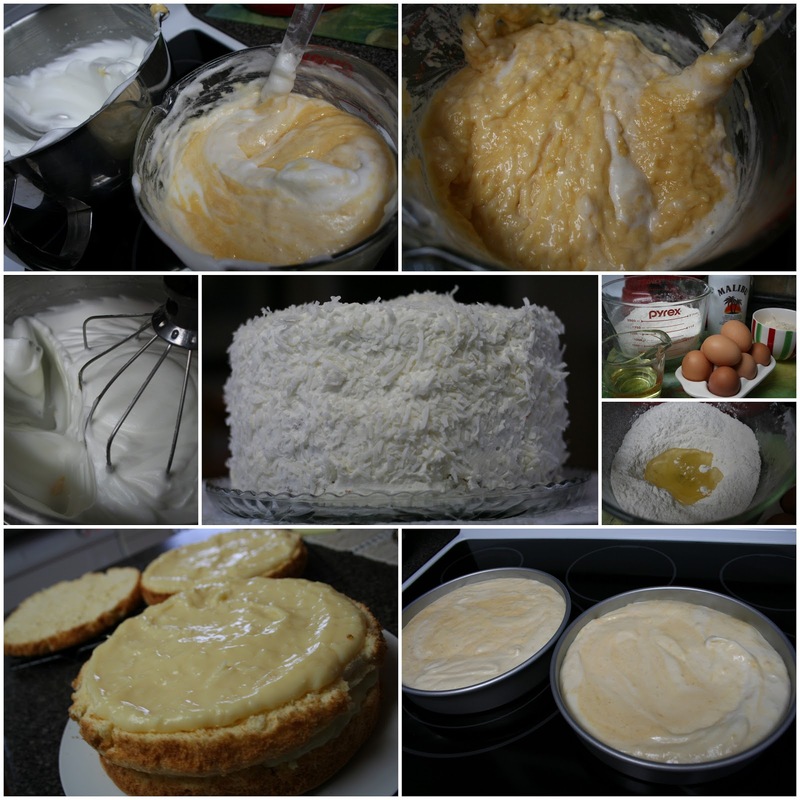 At times I beat the egg yolks into the cake mix and beat the egg whites separately until they are a nice soft peak and fold the egg whites into the cake batter after all the other ingredients have been added, but you certainly don't have to. It is good either way! Beat the butter and cream cheese together until soft and light. Add the icing sugar, continue beating until all the sugar is absorbed. Add the tin of well drained pineapple. Cut into desired amount of serving pieces. Quinoa has become a very popular healthy food choice. It's a protein that has a fluffy texture with a slightly nutty flavour when cooked. It is interchangeable in most recipes that call for cooked rice. This recipe is packed full of protein, and makes a wonderful meal in one dish, a side dish or addition to a potluck. Try this served cold salad! Stir in remaining ingredients and stir to combine. Put mixture into a greased casserole and bake at 350º for 30 minutes or until heated right through. This can be made ahead and keep in the refrigerator for 1-2 days. Heat and serve, or try it cold as a salad. Serves 4 as a meal, 6-8 as a hot side dish or cold salad. How are you using the gifts that God gave you as an individual to share with others around you. I've heard it said over and over again "I'm still trying to figure out what my gift is". If that sounds familiar to you, you are not alone. Looking back over my adult life I can relate to that phrase and often did not consider that bringing a casserole to a shut in or having a willingness to sign up on the pot luck list was worth a mention of a gifting. I want to encourage you today to not underestimate the simple things that you enjoy doing for others. 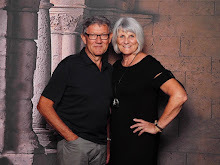 The church that Anneliese and I attend has been creating Pulse Videos which are designed to encourage you with stories of people who are on "a mission" or purpose where they are. It is their hope that the little video clips will give others ideas on how they can be "on a mission" where ever they live. Find joy today in small ways that you can bless others. PULSE: Episode 9, The Gift of Hospitality from Northview Church on Vimeo. 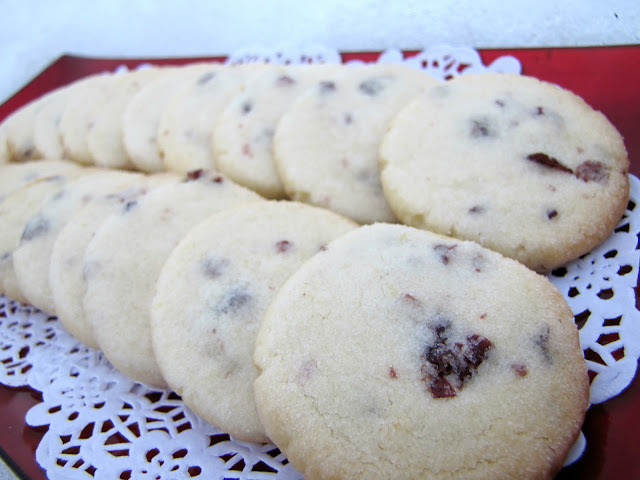 I found a cookie on the grocery store shelves that has become a favorite in the past few years...a combination of lemon and cranberries and a little crunch. Here's my copykat version...a little different but with the same flavours. Combine granulated sugar, icing sugar, butter and shortening in mixing bowl. Beat. Add flour, baking soda, lemon zest and salt. Beat on low speed until soft dough forms. Shape dough into 3/4 inch balls and place 2" apart on ungreased cookie sheet. Flatten balls with bottom of drinking glasses. Dip glass into granulated sugar to prevent sticking. Bake at 350 degrees F for 8-10 minutes, or until edges begin to brown. My sister Vera has been making these pancakes for years. They are always a welcome breakfast treat! Add all ingredients in a blender and blend at high speed for one minute. Stop and scrap down the sides of the blender. Continue blending until ingredients are thoroughly mixed. Pour onto hot griddle or pan that is lightly greased. Flip when browned on one side and continue cooking until cooked through. Serve any way you like with syrup or powdered sugar. Add some breakfast meat of your liking and some fresh fruit. *You can also add one ripe banana to the ingredients in the blender for Banana Cottage Cheese Pancakes. *If you don’t have a blender just mix with a hand held mixer or by hand. I am a big fan of chowders and especially like seafood chowders. 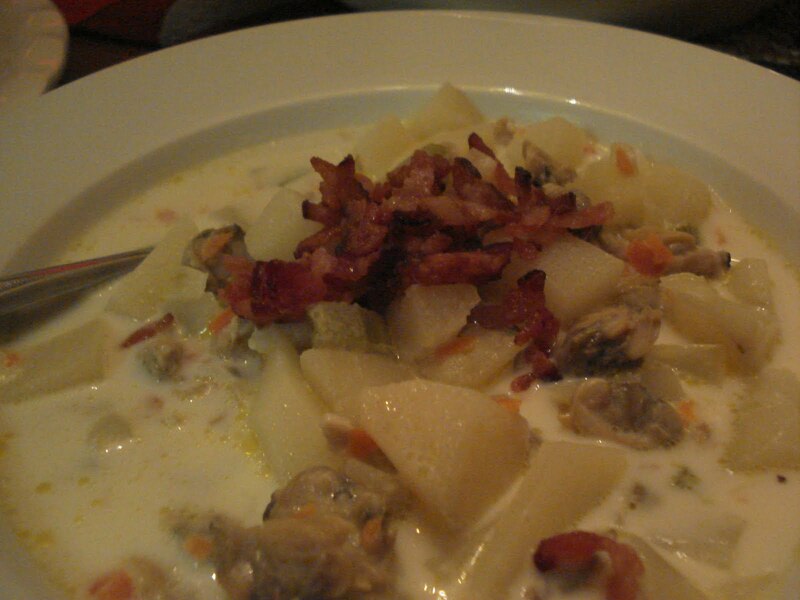 This version of Clam Chowder is very easy and quick to make. Saute the bacon until crisp. Remove from pan, drain all but 1 tablespoon bacon drippings. Saute the onion, celery, garlic, carrot, until onion softens. Add the remaining ingredients, except cream. Cook until potato is tender. Add cream, heat but do not boil. If you prefer a thicker chowder, add 1 or 2 tablespoon of cornstarch dissolved in some cold water add to soup and cook til thicker for a minute or two so you don't have a raw starch taste, then add cream. Top individual bowls with the bacon bits to garnish and flavor. Good with Corn and Cheese Biscuits.